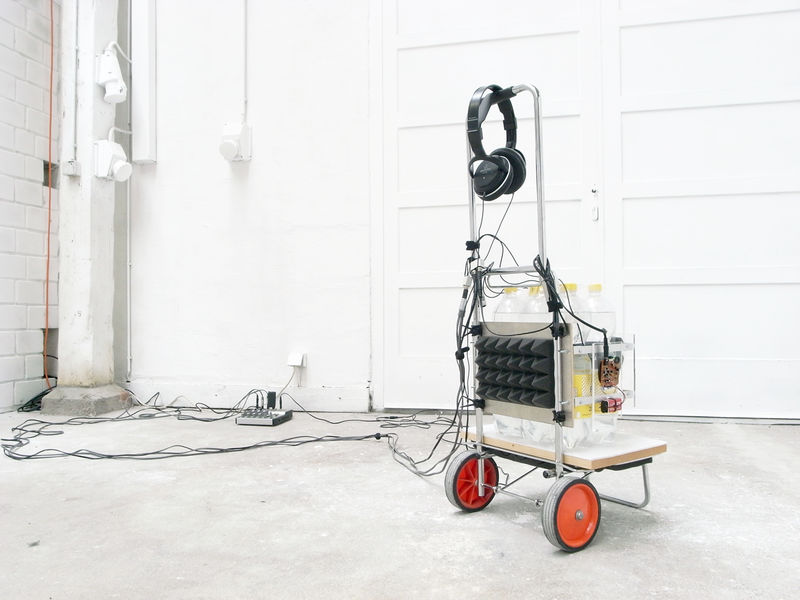 „ Beat of lemonade ( 2015 ) “ is a two-part multimedia video-installation constructed of steel, six welded lemonade-bottles, piezoelectric microphones, headphones and an experimental documentary. 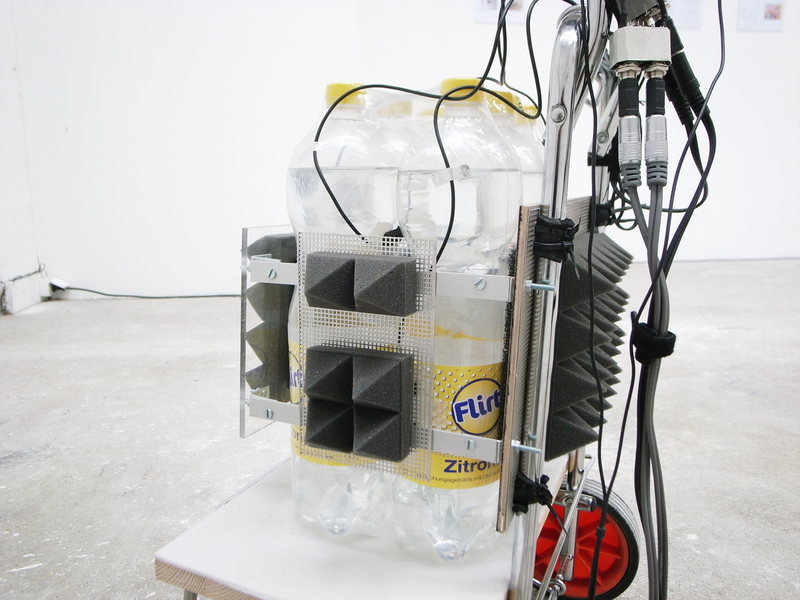 The mobile construction also serves as a recorder and uses the bottles as soundbodies. 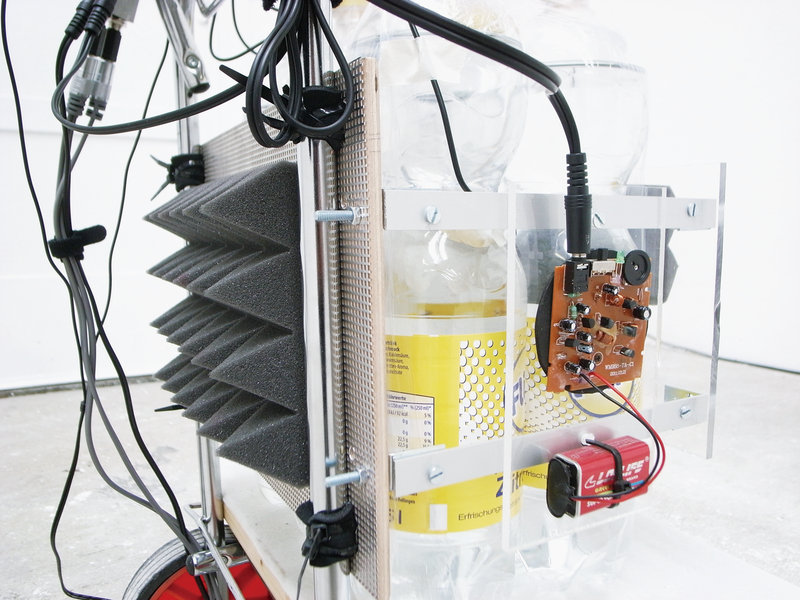 While walking through the city and crossing different structures of the ground the experimental device records all sounds of the wavelike moving lemonade and its sparkling. I videotaped this action in Germany by using an action-cam attached to the vehicle and show it together with the object. With this work i try to explore, present and create the acoustic and visual identity of an (geographical) area in a different, unknown and new manner.